On March 20 long-time LJC member Riva Špiz celebrated her 95th birthday. She is an active participant in the Day Club as well as a great mother, grandmother, great-grandmother and war veteran. We send our warm wishes and sincere congratulations to Riva, and wish her happiness, strong health, love and long life. May you live to 120! Mazl tov! 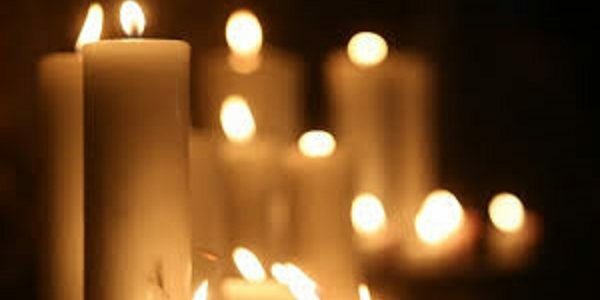 On March 28, 2019, the Kaunas Jewish Community will commemorate the 75th anniversary of the Children’s Aktion in the Kaunas ghetto during which, over one day, about 1,700 children and elderly were rounded up and murdered. The commemoration begins at 4:00 P.M. at the “Children’s Torah” statue at E. Ožeškienės street no. 13 in Kaunas. The commemoration continues at 5:00 P.M. in the concert hall of the J. Gruodžio conservatory at J. Gruodžio street no. 6, Kaunas. The program includes a performance of “The Jewish Girl and Her Three Mothers” by the drama theater of the Aušra Gymnasium (directed by N. Žilinskienė) and a concert by the J. Gruodžio conservatory’s string orchestra (conducted by K. Domarkienė). Aleksandras Rubinovas will serve as MC. Markas Petuchauskas’s book Price of Concord has been translated to German and will be presented at the Leipzig Book Fair taking place from March 21 to 24. 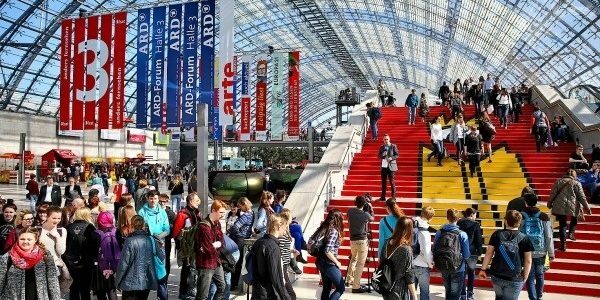 The Leipzig Book Fair is the second largest book fair in Germany after the Frankfurt Book Fair. The new translation has been published by the LIT Verlag publishing operation in Berlin. 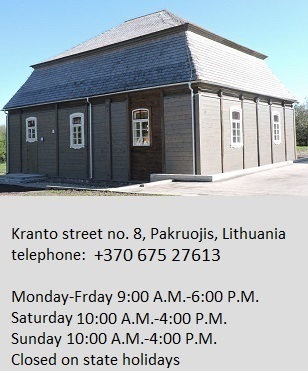 The translation was financed by the Lithuanian Culture Institute. The German version of the book, Der Preis der Eintracht, is to be presented at 1:00 P.M. on March 23 during the OstSüdOst forum at booth E501 in Hall 4 with translator Markus Roduner, author Markas Petuchauskas and moderator Joachim Tauber. The book presentation is scheduled to run until 1:30 P.M. Another presentation will take place at 6:00 P.M. the same day with the same participants at the Jewish Culture Center at Ariowitsch-Haus located at Hinrichsenstraße no. 14, Leipzig. The main LIT Verlag booth is booth G208 in Hall 3 at the book fair. The United States embassy in Tallinn condemned an incident in the Estonian capital during which a man hurled insults at Rabbi Efraim Shmuel Kot. A 27-year-old was being detained by traffic police Saturday for riding the tramway without a ticket when Rabbi Kot and family walked past on their way to shul. The man reportedly yelled “Heil Hitler,” “Sieg heil” and “What are you staring at, Jew? You’re going into the oven” in Estonian. The US embassy issued a statement condemning the verbal assault, calling it hate speech, and saying it had no place in modern society. The embassy warned words matter and can turn into action if ignored. The situation regarding Holocaust commemoration and education in Lithuania is likewise extremely problematic. 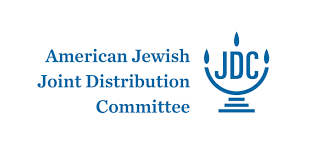 It was only slightly more than a year ago that Holocaust distortion, which has been going on undisturbed for the past almost 30 years, and is currently rampant throughout post-Communist Eastern Europe, suddenly became an issue in Israel. The reason was the uproar over the by now infamous Polish Holocaust bill, which made use of the term “Polish death camps” or the attribution of any Holocaust crimes to the Polish state, a criminal offense punishable by two years in prison. Prime Minister Benjamin Netanyahu responded that “Israel would not tolerate Holocaust distortion,” the first public denunciation by an Israeli leader of the systematic efforts being made for decades by many of the new democracies of Eastern Europe to whitewash the crimes of their nationals during the Shoah. A statue was unveiled to commemorate the fifth anniversary of the death of Icchokas Meras. The ceremony and monument were the work of the Lithuanian Jewish Community, the Lithuanian Jerusalem Vilnius Jewish Community, the Jakovas Bunka support fund and the Kelmė regional administration. It took place on March 13 at Icchokas Meras Square in Kelmė. Students and teachers from the neighboring Jonas Graičiūnas Gymnasium, Kelmė municipal representatives, fans of Meras’s work and visitors from Vilnius, Kaunas, Šiauliai and Panevėžys and members of those Jewish communities attended. Feliks Dektor arrived from Israel for the ceremony. He translated to Russian Meras’s novels “Ant ko laikosi pasaulis” and “Lygiosios trunka akimirką” as well as a collection of short stories called “Geltonas lopas,” some of the first literary works about the Holocaust to be published in the Soviet Union. “Icchokas Meras his entire life spoke for the silenced ghettos of Kelmė, Vilnius, Kaunas and Šiauliai. In his work he didn’t stand for the isolation of the ghetto, rather he scaled to the heights and plumbed the extraordinary depths of humanity. In Soviet times everyone looked forward to the appearance of his novels and stories in the magazines Pergalė and Nemunas. This was a protest hurled against the Soviet reality. Because Icchokas Meras was and remained a Lithuanian writer who modernized the language of Lithuanian prose and invented new ways to express himself. I read the reply from the Center for the Study of the Genocide and Resistance of Residents of Lithuania to my article “Why Is Genocide Center Defending a Lie?” The Genocide Center’s reply was unpleasantly surprising. The position of the person quoted was confused with my own personal position. Instead of polite discussion it turned quickly to ad hominem. Therefore to the honorable director of this institution I say: do not allow scribblers to reply to articles by professional journalists and writers. Because this [reply], fallen into Communist hysteria, as if it weren’t 2019 at the present time but gloomy Stalinism instead, written in the KGB style with anti-Semitic glee, places all critics and opponents of the Genocide Center into one “anti-Geno-Centro-underground organization.” This does shame to the institution itself. Take a pill, calm down and remember that the Genocide Center is not some private headquarters of extremist nationalists but an institution of a democratic state. The parliament has tasked this institution with discovering the truth, not engaging in politics. Full text in Lithuanian here. 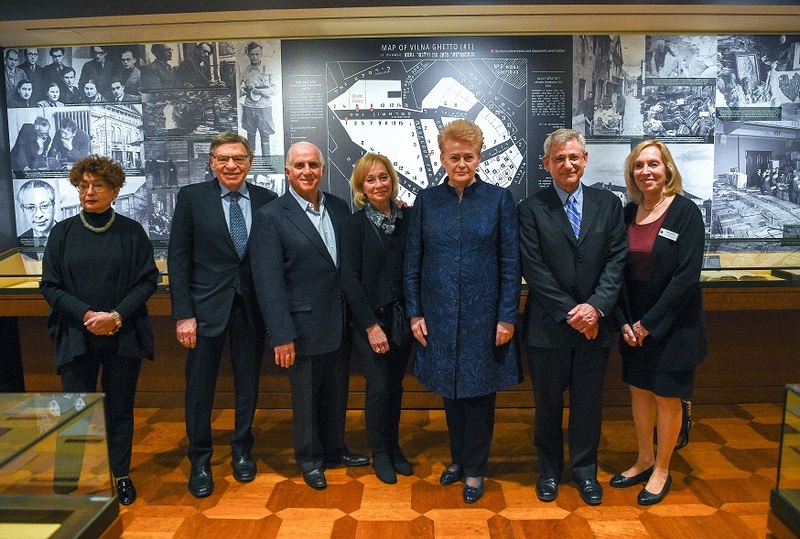 Lithuanian president Dalia Grybauskaitė visited YIVO in New York City March 13. 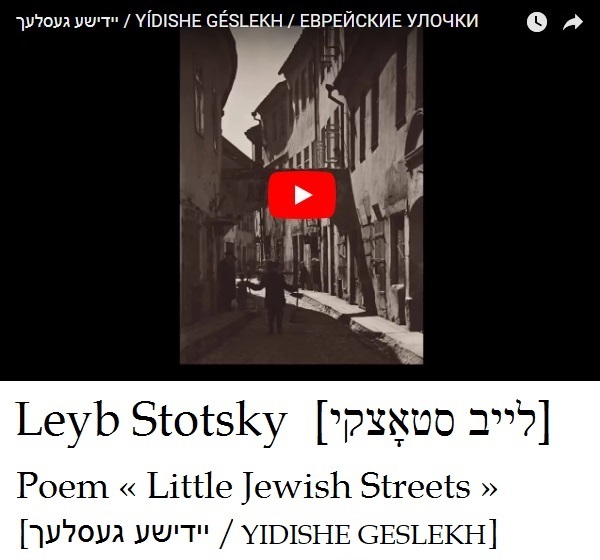 The YIVO institute was founded in Vilnius in 1925, collecting a large library of books and documents, Yiddish literature and material on Jews in Central and Eastern Europe. It moved to New York in 1939 when founder Max Weinreich was caught in Denmark as Nazi Germany invaded Poland on September 1 of that year. The New York branch became the headquarters as the Nazis looted YIVO archives in Vilnius. YIVO director Jonathan Brent met the Lithuanian leader and spoke to her about the Strashun collection and important documents YIVO conserves. The Lithuanian president said she was impressed by the collections demonstrating the priceless Litvak heritage and also by the courage and nobility of the people–Lithuanians and Jews–who saved the important documents. Full press release in Lithuanian here. 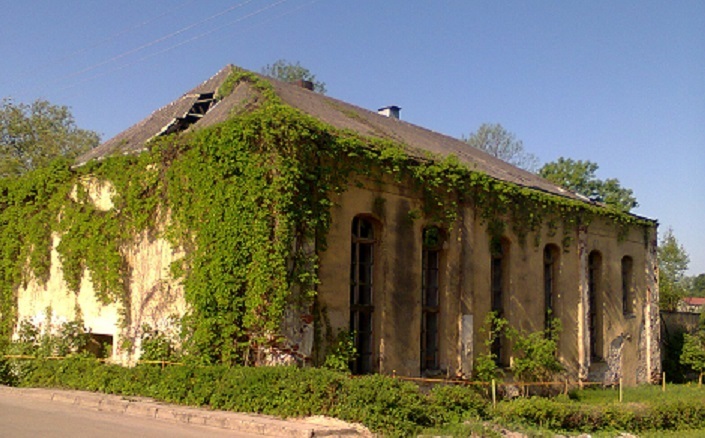 Work to restore the synagogue in Žemaičių Naumiestis, Lithuania, began in 2018 and on March 6, 2019, the work to date was surveyed. The Šilutė regional administration allocated almost 100,000 euros for the renovation work. The town had a large Jewish population before the Holocaust who built this brick synagogue in 1816. In the Soviet era the synagogue was used as a Palace of Culture. The Vilnius District Administrative Court began deliberation of a case Grant Gochin filed against the Center for the Study of the Genocide and Resistance of Residents of Lithuania Tuesday, March 5. 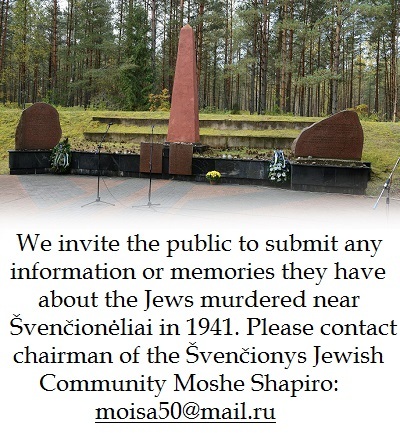 Gochin, a Lithuanian citizen and member of the Lithuanian Jewish Community, is seeking remedy for the Genocide Center’s “historical finding” exonerating Lithuanian Holocaust perpetrator Jonas Noreika. Gochin wants the Center to reconsider its exoneration in light of newly discovered documents which he says the Center has ignored. Active LJC member Geršonas Taicas attended the trial and shared his impressions, translated below. The Lithuanian Prosecutor’s Office announced Wednesday it had opened a case on the possible harassment of the playwright Marius Ivaškevičius. It also announced law enforcement will investigate the illicit collection of private information about Ivaškevičius and the illicit sharing of such information. The article indicated a database of “enemies of the homeland” was being prepared and asked readers to supply as much information as possible regarding the private life of the Lithuanian writer. The internet posting said the information was needed to kill Ivaškevičius, the prosecutor reported. Arkadijus Vinokuras: Why Is Genocide Center Defending a Lie? The Genocide Center stands accused of lying, falsifications and down-playing obvious facts in its refusal to review newly-discovered documents showing Noreika participated in crimes of genocide against Lithuanian citizens. Lithuanian Jewish Community chairwoman Faina Kukliansky told BNS Tobijas Jafetas was “a highly respected, active and refined person of the community” who had met her father when World War II began. “As I recall his father had a business in England and came to Kaunas just before the war started. It so happened that Jafetas and my father were at a [children’s summer] camp in Palanga when the war broke out. Neither was able to flee and they were taken to an orphanage in Kaunas,” Kukliansky said. Israeli ambassador to Lithuania Amir Maimon expressed condolences over Jafetas’s loss on facebook. Jafetas and his mother were imprisoned in the Slobodka ghetto in Kaunas in World War II. He told the story of how he escaped the ghetto in 1944 after hiding in an attic. 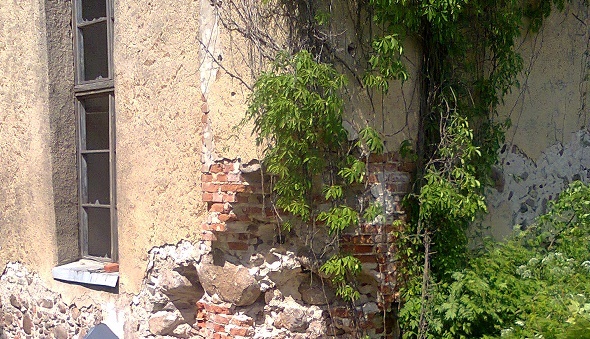 The Katinskai family in Vilnius rescued him. LJC chairwoman Kukliansky said Jafetas spoke German and English and maintained close contacts with survivors of ghettos in Europe. 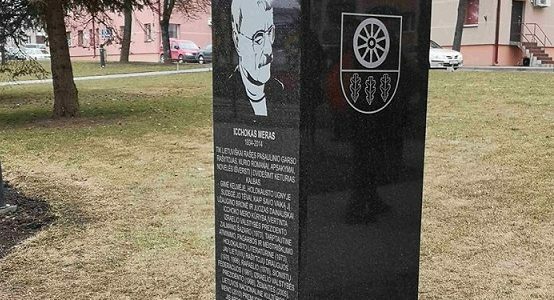 A monument to Litvak writer Icchokas Meras (October 8, 1934 – March 13, 2014) is to be unveiled on the fifth anniversary of his death on Icchokas Meras Square in his hometown of Kelmė, Lithuania, at 1:00 P.M. on March 13, 2019. Meras, a Holocaust survivor, wrote in Lithuanian and won numerous awards in Israel and Lithuania. His work has been translated into over 25 languages including Yiddish and Hebrew. He moved to Israel in 1972 and passed away in Tel Aviv in 2014 at the age of 79. 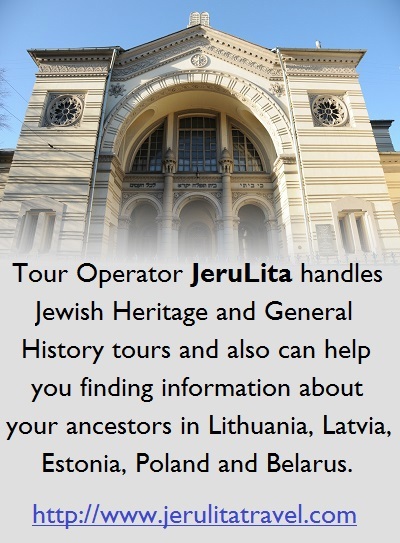 The monument is the fruit of cooperation between the Lithuanian Jewish Community, the Jakovas Bunka welfare and support fund, the Lithuanian Jerusalem Vilnius Jewish Community and the Kelmė regional administration. Those wishing to attend are invited to send notice of their intention to renginiai@lzb.lt because the LJC plans to provide free transportation to and from the event if there is sufficient interest. Please send an email by March 11 or call 8 673 77257 for more information. Growing up in the United States, Silvia Foti couldn’t have been more proud of her Lithuanian heritage, in particular her grandfather. Silvia’s family had crossed the Atlantic after the Second World War but she always knew that, back in Lithuania, her grandfather was seen as a war hero. She’d been told that he’d been executed at the age of 37 for standing up to the Soviet regime and trying to lead a rebellion against their occupation of Lithuania. Silvia tells Emily Webb how a chance conversation on a trip to Lithuania made her question everything she’d learnt about her past. 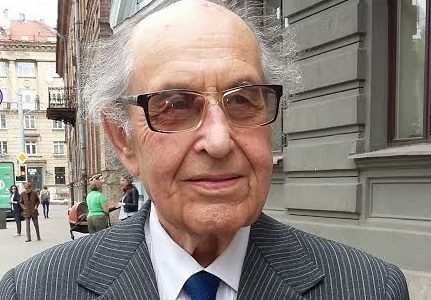 The Lithuanian Jewish Community has learned with great sadness of the loss of chairman of the Union of Former Ghetto and Concentration Camp Inmates Tobijas Jafetas. Born in 1930, he was still a child when World War II came to Lithuania. He often said he only survived because of help from Righteous Gentiles. Although he was from Vilnius, he was with his mother Berta and uncle Lazeris in Kaunas when the Nazis arrived. Other relatives were imprisoned in Latvia. All of this family was murdered and he was the only survivor. He, his mother and the other Jews of Kaunas were forced into the Slobodka ghetto. “Life in the ghetto was very hard and one of the biggest problems was figuring out how to get enough to eat,” Jafetas said one year ago. “Tradition and the necessity of maintaining Jewish identity were very important to us under such conditions. In April of 1944 ghetto prisoners sensed danger and the ghetto was surrounded and the guard increased. I managed to escape death by hiding in an attic under hay for rabbits being raised there. The soldiers didn’t find me. In April of 1944 my mother told me to flee the ghetto as quickly as possible. His experience of the Holocaust didn’t break Tobijas. Wise, sincere and always with a warm and beautiful smile–that’s how the Jewish community will remember Tobijas Jafetas as we express our shock and condolences over his loss to his daughter Judita, all his grandchildren and everyone who had the honor to encounter this sensitive and extraordinary person. French authorities have called on Warsaw to publicly condemn actions by Polish nationalists to disrupt a conference on the history of the Holocaust in Poland, Radio France Internationale reported. French and Polish scholars met at the L’École des hautes études en sciences sociales (EHESS) in Paris for a Holocaust conference on February 21 and 22. In the run-up to the conference, organizers received a spate of threatening telephone calls and emails demanding it be canceled. The Polish Institute of National Remembrance (the state historical and archival institution that studies the activities of the state security organs of Poland, the Third Reich and the USSR) criticized the conference on social networks on the eve of its opening, and the Polish embassy to France conveyed these criticism via Twitter. Will Lithuanian Law Enforcement Give Due Consideration to Anti-Semitic Acts? The Lithuanian Jewish Community is greatly surprised by the actions of law enforcement institutions regarding Marius Ivaškevičius. This write was summoned to a police interrogation on the accusation he had incited hate against the Lithuanian people because of his public identification of the problems troubling our society using historical facts connected with the direct participation of ethnic Lithuanians in perpetrating the Holocaust. This is extremely depressing, unexpected and troubling, especially bearing in mind that violations with a clear anti-Semitic element usually go unnoticed by law enforcement. This passive reaction by law enforcement institutions towards expressions of anti-Semitism creates a sense of impunity, leads to the application of double standards in Lithuania, erodes the rule of law and the state and recalls dangerous examples from neighboring countries. The LJC asks government representatives, law enforcement institutions and the public to assess the situation soberly based on justice and intelligence, in order to stop the spread of information campaigns harming Lithuania’s reputation by countries which are against our state. We thank all those who have maintained a common-sense position and we also ask attention be brought to bear on statements made by Panevėžys politician Raimondas Pankevičius during elections debates on February 22 which had the features of incitement of ethnic hate and Holocaust denial. During the debates the politician made the false statement Jews in Lithuania had killed each other, ignoring the fact of Lithuanian complicity in the Holocaust. The LJC feels the behavior of this Panevėžys mayoral candidate, famous for actions which seem to display an unapologetic and habitual anti-Semitism, has never been subject to an appropriate legal response. Lithuanian writer Marius Ivaškevičius, winner of the title Tolerant Person of the Year for 2017 and recipient of the Lithuanian National Prize for art and literature, was recently summoned to explain to police remarks he made on Lithuanian public radio about Lithuanians engaging in ethnic cleansing of Poles and the removal and mass murder of Jews during World War II. 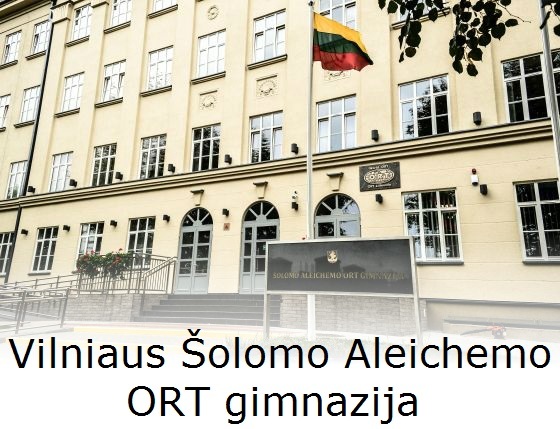 According to Lithuanian media reports, the Lithuanian General Prosecutor’s Office instructed Lithuanian police to investigate Ivaškevičius for hate-crimes against Lithuanians. The Lithuanian Writers Union, the Lithuanian Journalists Union, legal experts and some media have come to the defense of Ivaškevičius. The following is one of many editorials which have appeared recently. This very angry text is about the playwright Marius Ivaškevičius, but you won’t find anything here about his work or the national prize he received. The fact they demanded he not be given the [Lithuanian national] prize and that he received it nonetheless is one of the best things to happen in 2019, and no matter how Eurovision and the elections turn out, at least one good thing has happened. This is a great start to the year. This article is about Ivaškevičius being summoned to the police to explain what he said on the radio about Poles and Jews. The playwright didn’t call for killing, oppressing or insulting anyone. He spoke about our people’s (and Ivaškevičius is part of that people, too) historic crime against other peoples. There were people who considered this mocking the Lithuanian people and encouraging hatred of Lithuanians. The Lithuanian Jewish Community and the Ąžuoliukas Music School will hold a chamber ensemble concert to celebrate the 40th anniversary of the school and the 60th anniversary of the Ąžuoliukas Boys and Young Men’s Choir. The concert begins at 5:00 P.M. on Thursday, February 28, at the Lithuanian Jewish Community, Pylimo street no. 4, Vilnius.